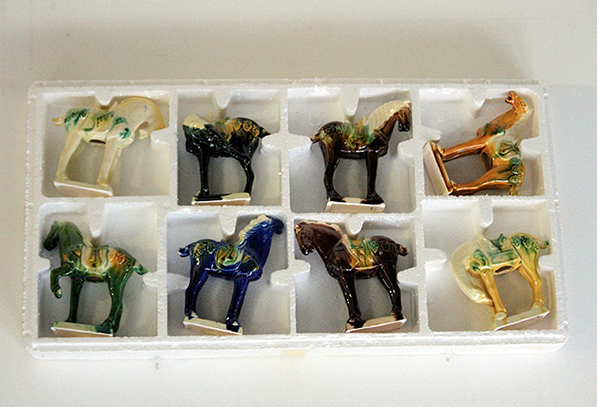 Ceramic horses were produced in Tang Dynasty, China (618-916) as fine funerary objects. 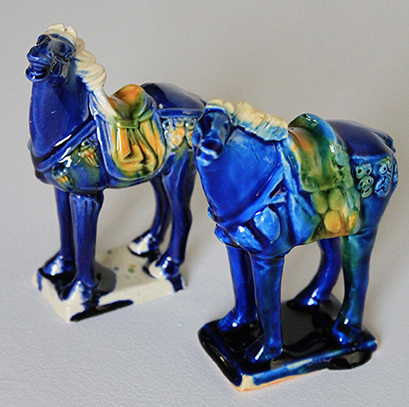 The original objects are among the most prized artifacts from the period. 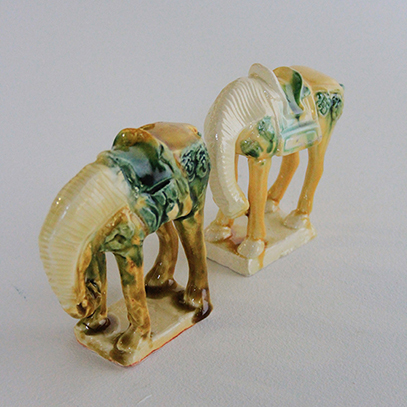 The tang dynasty horses that are produced today are cheap knock offs of their predecessors. 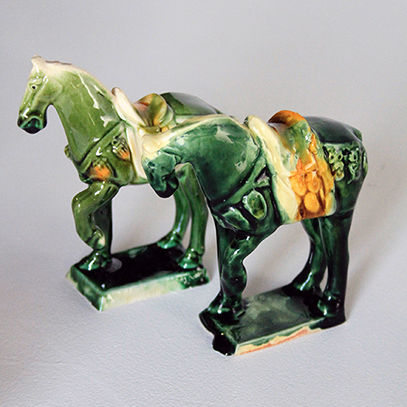 I purchased eight of these replica ceramic Tang Dynasty Horses from Treasure Trove in Colorado via Amazon.com. I made nearly identical versions of the purchased tchotchkes, and these handmade Seconds were returned within the 60 day return period. My original works are now re-circulated through Amazon’s global exchange system in a cross-cultural collaboration that questions the authenticity and values of commodifying cultural iconography. 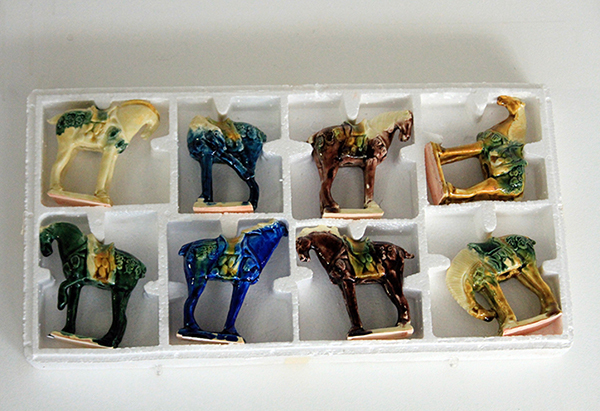 Seconds, 2015, Handmade Ceramic Horses, each 4x2x2 in.